We rarely know much about the places where the software and tools we use every day are built. 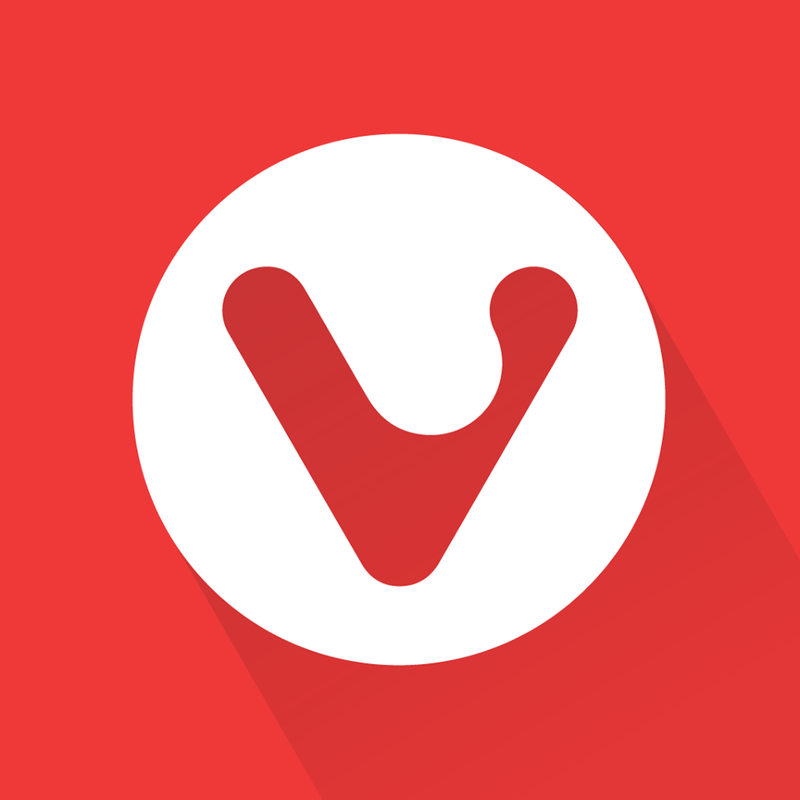 If you are curious about the area where your favorite browser is made, this is your chance. Oslo can be pretty scenic this time of year. While the team was away in Iceland for one of our annual team gatherings, Akira, who works with our Japanese community, did some exploring and managed to unearth some very interesting local history. If you are curious about the area where your favorite browser is made, this is your chance. 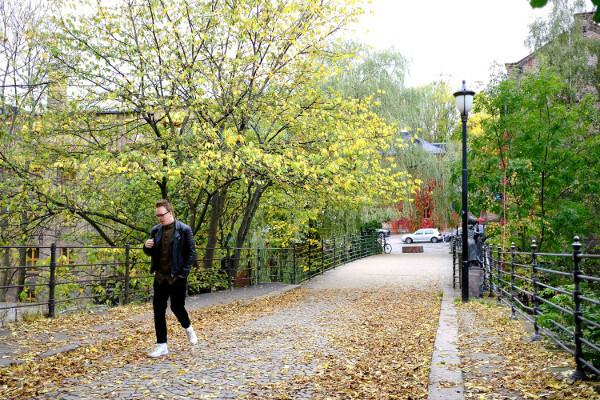 Sagene is a beautiful part of Oslo where both nature and sense of history have been preserved better than in many other cities around the world. 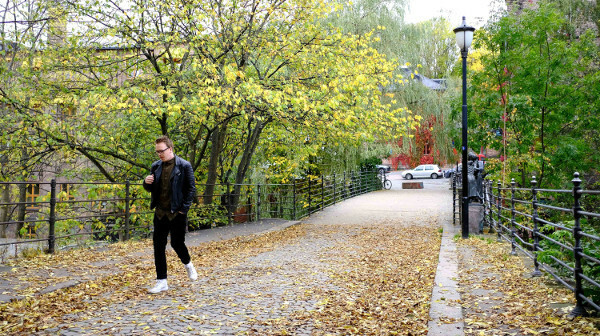 Our building is right on the Akerselva river and, like many of the buildings scattered along the river was once a textile factory. We happen to overlook a huge waterfall the sound of which can be music to the tired ears on a busy day. That’s right, a waterfall. How many offices do you know that overlook waterfalls? Most buildings in the area have been refurbished and are used as office space. The brick exteriors are retained and look just like they did in the olden days. As far as bridges go, the bridge over the waterfall is really famous. In 1931 Beierbrua appeared in the comedy film Den Store Barnedåpen (The Great Christening) which is Norway’s first feature-length film. If you watch the movie (the bridge is on at 01:04:40) you’d see it and the surrounding buildings pretty much how we see them today. 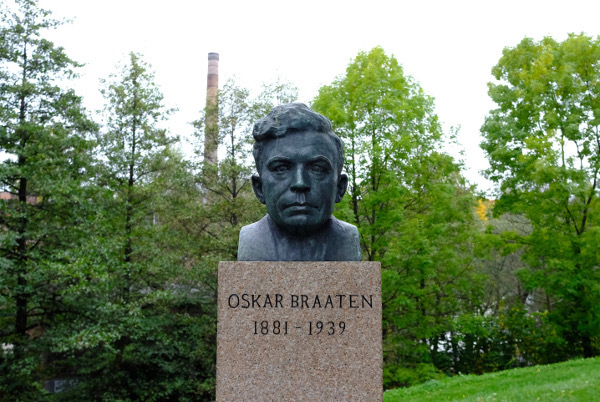 The bronze statue of Oscar Braaten, the Norwegian writer who wrote the original story for the film, is also in this area. He was born and raised in Sagene. His novels give a voice to the many working class people who lived and worked in the factories in this area. 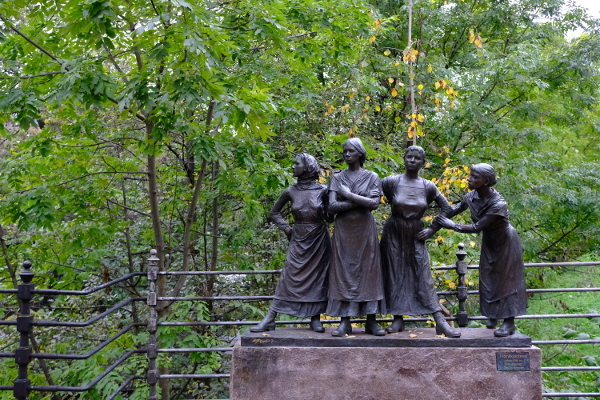 Workers like these ladies from a nearby textile factory. In more recent times, Beierbrua starred in Skam (2013-2015), the enormously successful TV drama by NRK (Norwegian National Television). It’s on this bridge that the main character, Nora, unleashes her feelings towards William in Season 2. Skam (Shame) became hugely successful in Scandinavia delving into students’ lives, racial and religious issues. Hope you’ve learned something interesting. 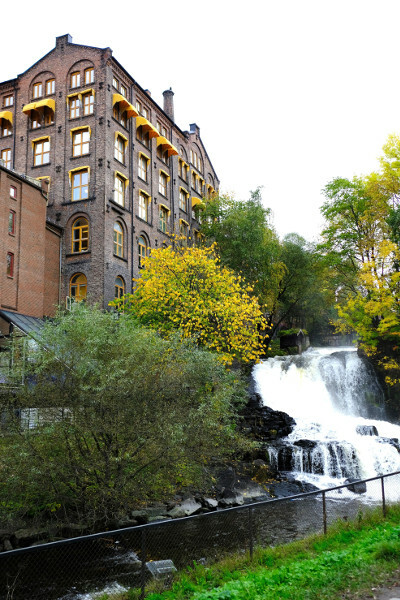 Oh, and if you are in Oslo, come visit Sagene – the bridge, the waterfall, Vivaldi.